Yaesu FT950 transceiver, Kenwood TS520 transceiver and Yaesu FRG7 receiver. In the centre is the Behringer desk I use to feed audio to the rigs and the ADK studio condenser microphone. Both rigs feed either the Amp or through a Z- match link coupler to the 160m dipole antenna. The FT-950 feeds a Lazy H from its second antenna output for 6m. 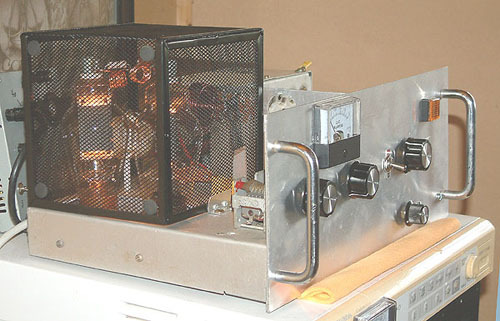 The old home brew TX based on a Geloso vfo driver assembly driving a cathode and screen modulated 6DQ5. 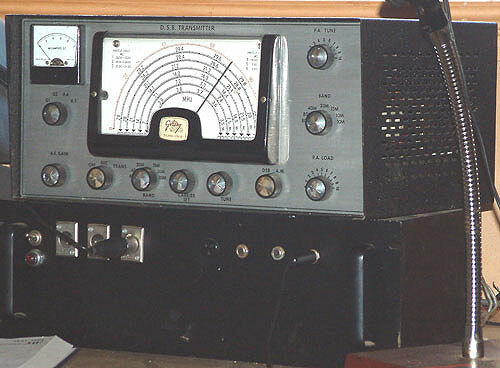 This TX is also is driven from the Behringer desk and switches directly to the amp or the 160m dipole. My latest amp, using a pair of 811A’s in parallel - bandswitched for 160, 80 and 40 metres, with a separate tank unit for 40 only. Link coupled output and about 400w pep. 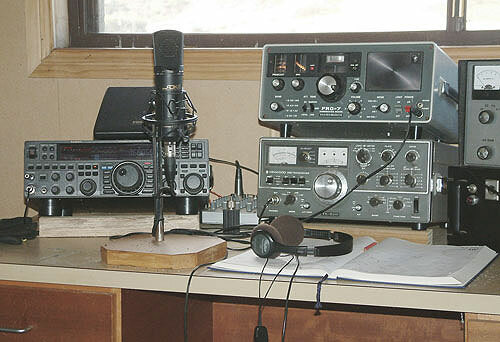 My friend Peter, VK3ATC kindly donated the 304TL triodes (pictured right) for my first linear. 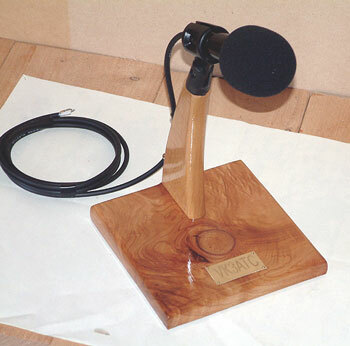 As a return gift I made him this desk mike stand, complete with the Sennheiser mic. at left.